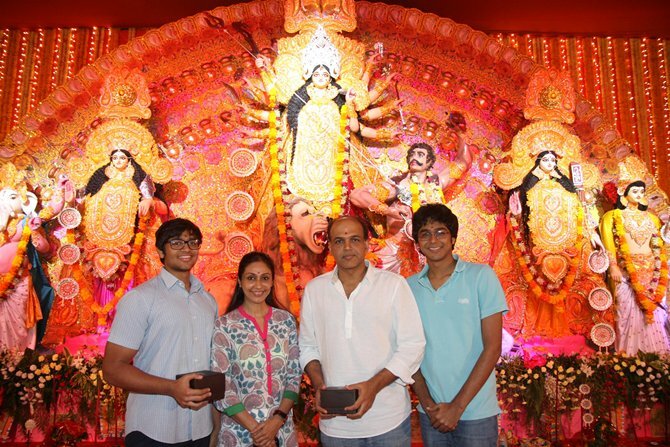 Actress Rani Mukerji and several other members of Bollywood's Mukherjee-Samarth clan joined in the week-long Durga Puja celebrations that concluded with nobomi on Sunday, October 13. Rani served Bhog to the visiting devotees at North Bombay Sarbojanin Celebrations on Sunday. The actress was spotted serving to noted screenplay writer Jaideep Sahni (of Chak De! India and Rocket Singh: Salesman of the Year fame), seen here in a white shirt. 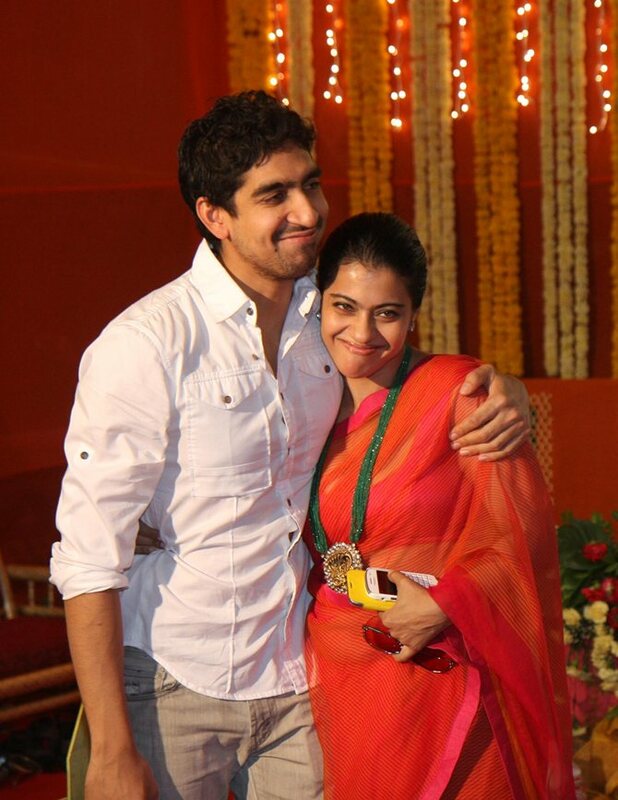 Rani's famous cousins -- Kajol and Yeh Jawaani Hai Deewani director Ayan Mukerji -- were spotted taking part in Durga Puja celebrations in Mumbai. 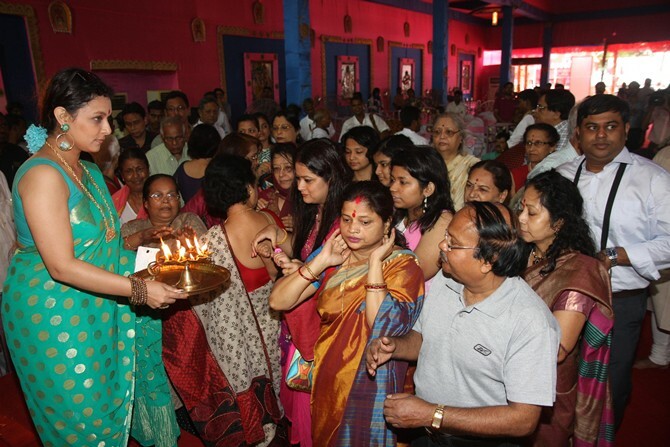 Another Mukherjee cousin, actress Sharbani Mukherjee was seen offering aarti to the visiting devotees. 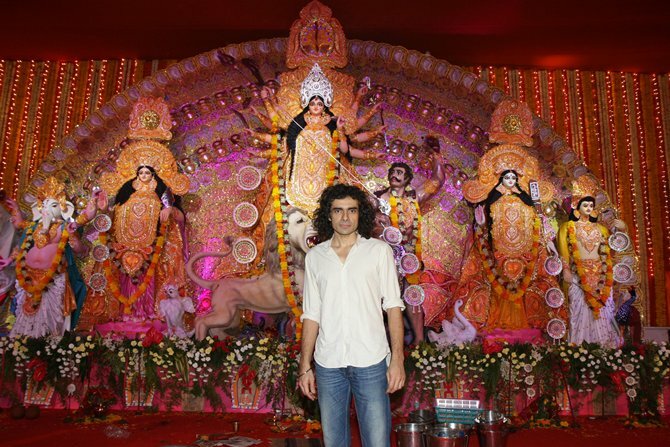 Director Imtiaz Ali arrives to offer prayers to the deity. Ayan's half sister Sunita Gowariker arrived with filmmaker husband Ashutosh and their two kids -- Konark and Vishwang. 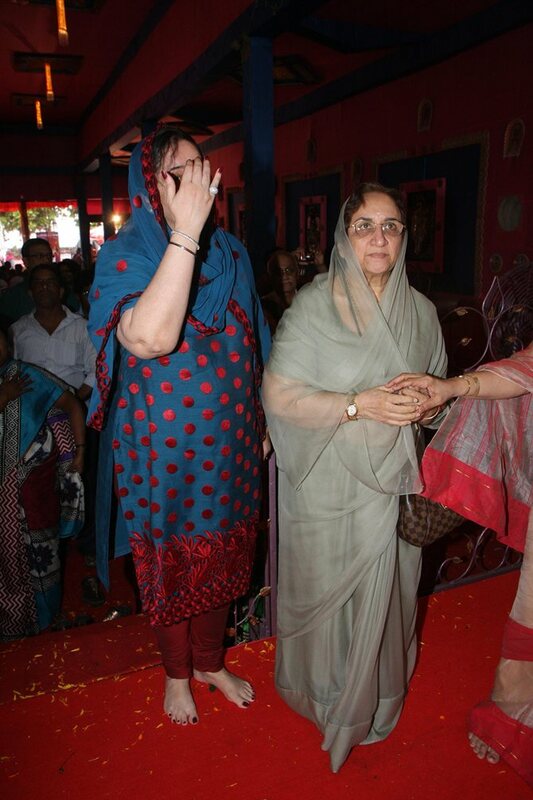 Late actor Shammi Kapoor's wife Neila Devi, being escorted to the pandal. Barfi! 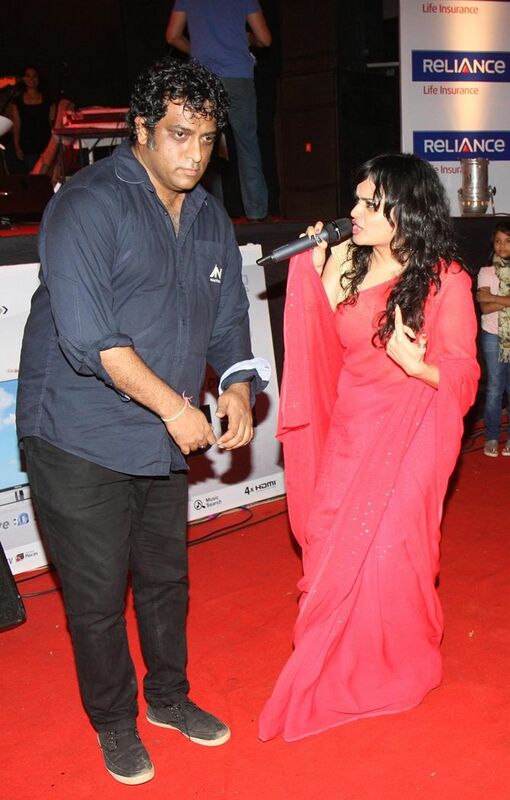 director Anurag Basu, spotted here busting some moves while singer Aditi Bose performs at the function. 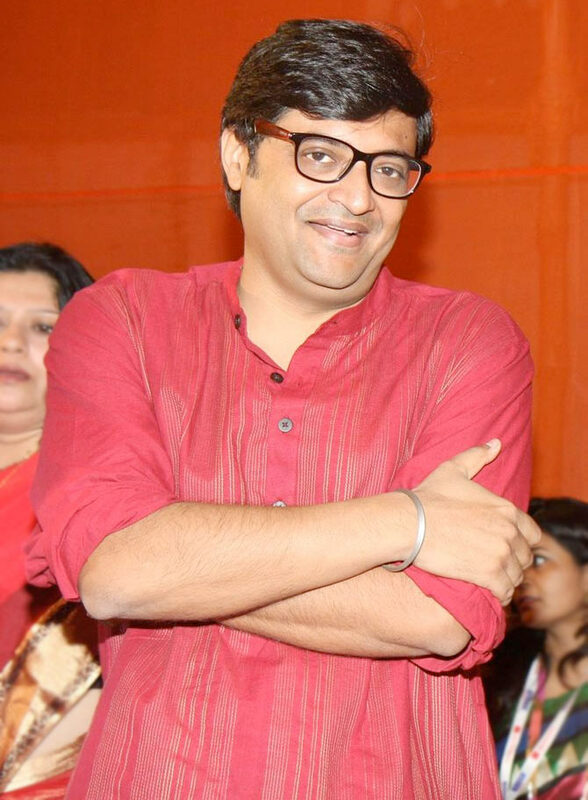 Times Now anchor Arnab Goswami, caught in a more relaxed moment, as he took take part in the festivities. 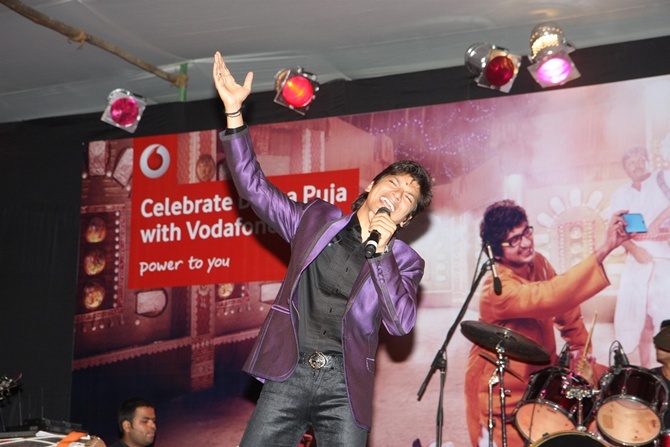 Singer Shaan was one of the star performers at the pujo. 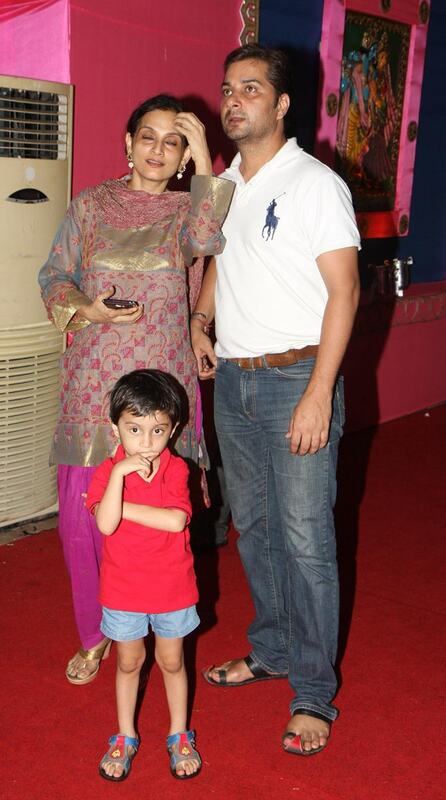 Actor couple Rajeshwari Sachdev and Varun Badola arrive with their son Devagya. 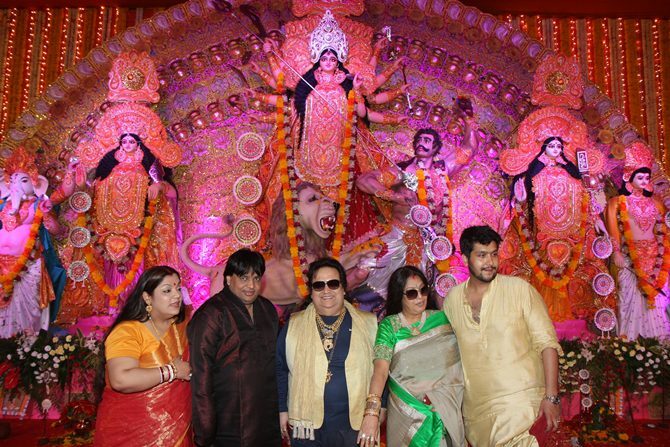 Veteran music composer Bappi Lahiri arrived with wife Chitrani, son Bappa, daughter Rema and son-in-law Govind Bansal. 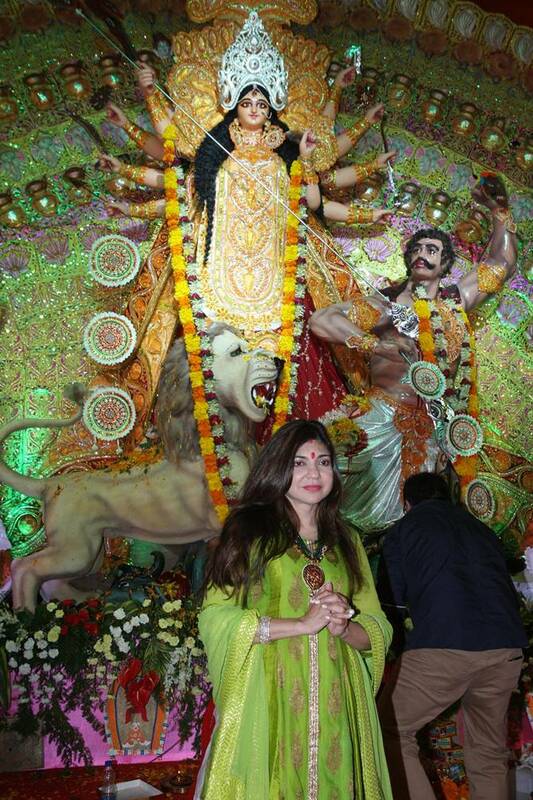 Playback singer Alka Yagnik arrives. 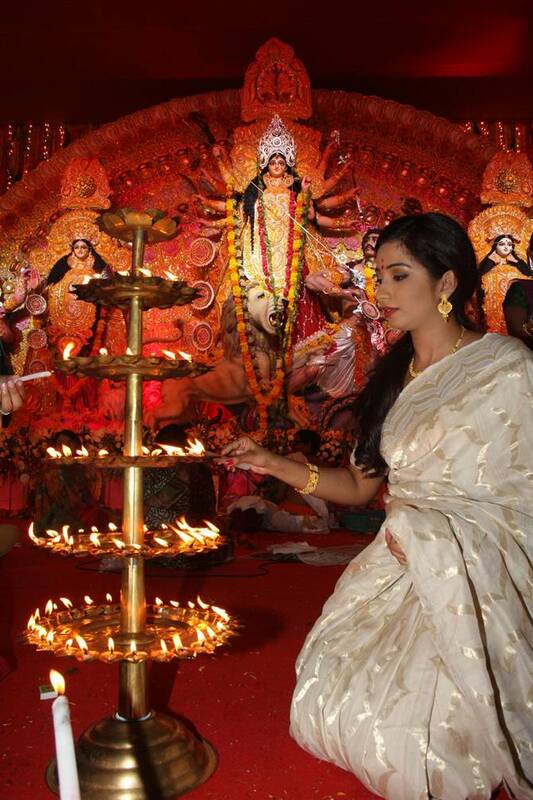 Singer Shreya Ghoshal lights the lamp. 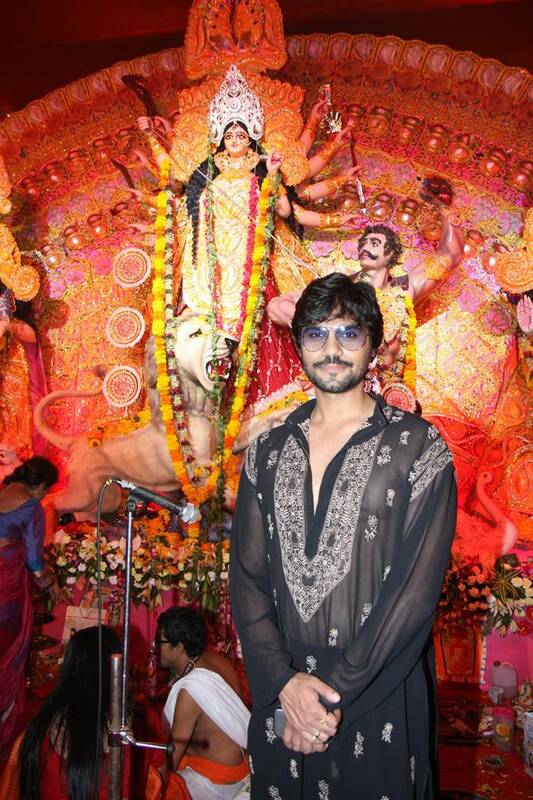 Television actor Gaurav Chopra poses for pictures upon arrival. 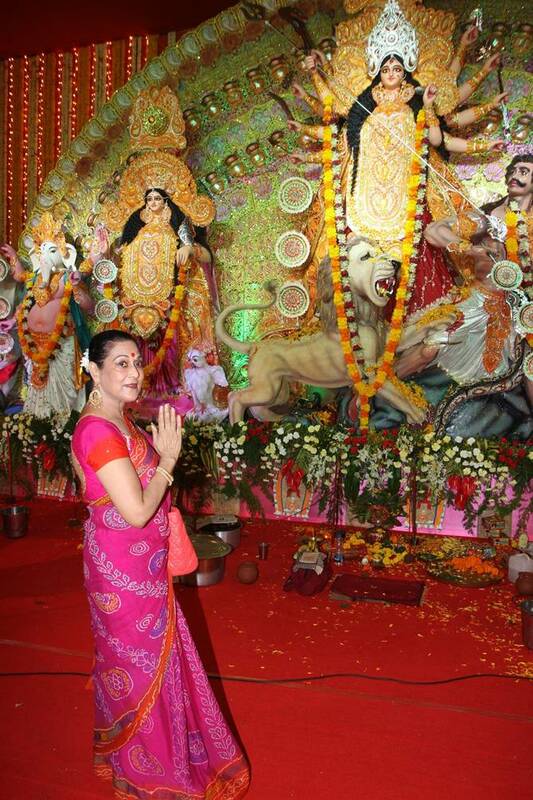 Actress Anjana Mumtaz, photographed here offering prayers. 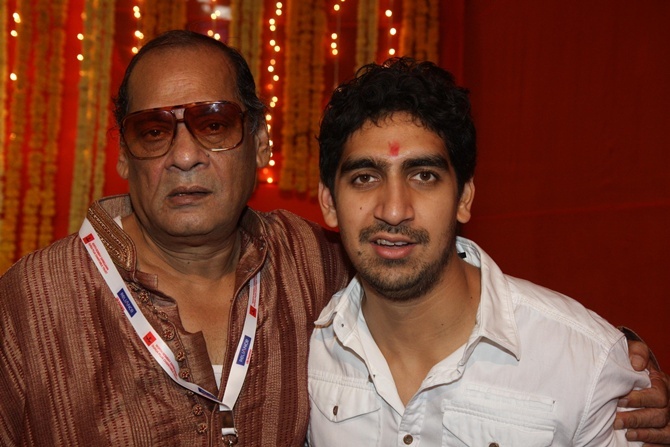 Ayan poses with father Deb Mukherjee. 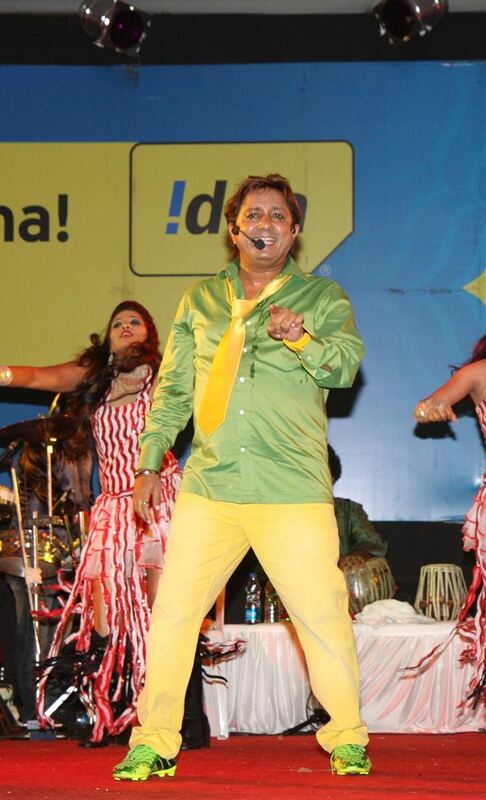 Singer Sukhwinder Singh stood out in his unusually colourful outfit as he performed on stage.